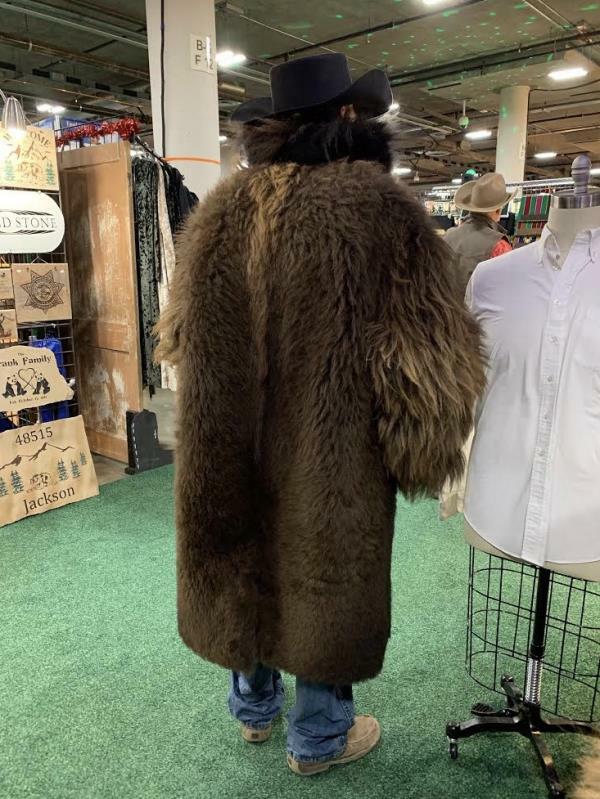 Custom made full length buffalo coat from one hide, a big one! Fully lined with inside pockets and a kick pleat in the back. 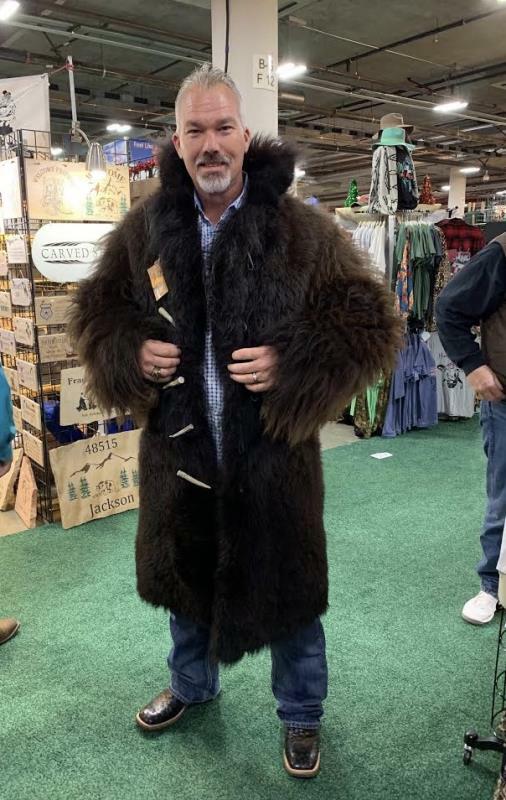 You will never find a finer made coat!